Features: Triple Action-Remove tough grease, Remove food smell, Kills 99.9% germs. 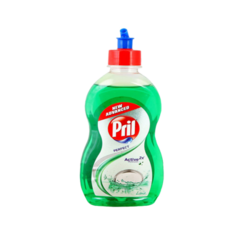 We are amongst the most reputed names in the industry, offering Pril Dishwashing Liquid. 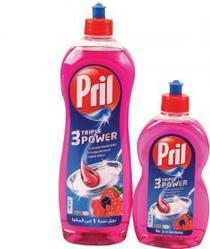 Pril Liquid has been a forerunner in the dish-washing segment ever since its inception in 1999. Its high grease dissolving powder and quick dry formula make Pril a superior cleansing agent. We are specialized in providing Pril Dish Washing Liquids 425ml.